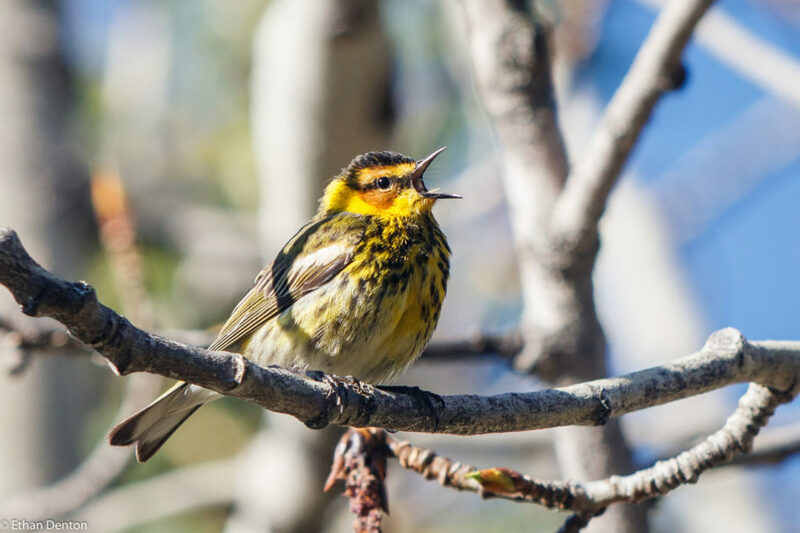 The Canmore Spring Bird Walks are back for another season. When I started this bi-monthly spring event two years ago, I had no idea that there would be the kind of interest that has arisen. 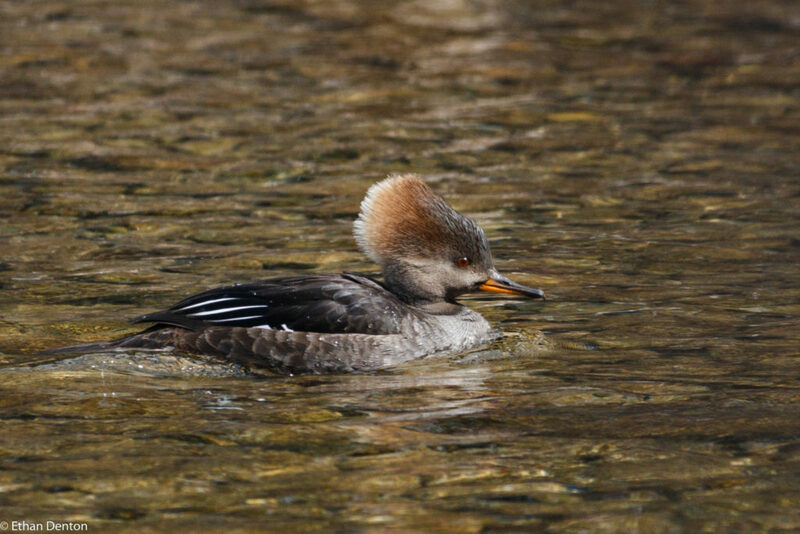 It’s great to see everyone getting out – even through the rain, sleet and snow – to experience the many bird species migrating through or residing in Policeman’s Creek. This year, the walks will be held on the following dates, at 7:00 am. We meet at Canmore’s famous Big Head sculpture on Main Street. Early passerine migrants will be arriving about now. flycatchers and Catharus thrushes will be arriving. and Orange-crowned Warbler may also be sighted. 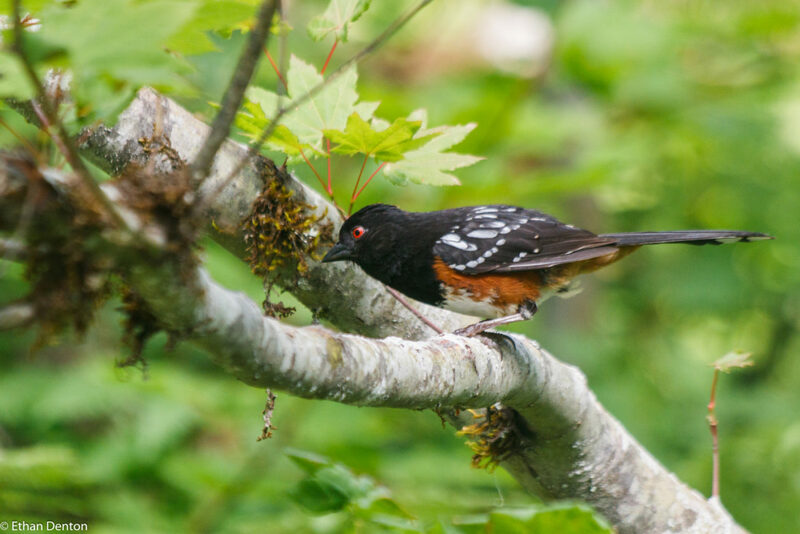 Most of the common birds will be back, with American Redstarts, Warbling Vireos and the like being the most recent arrivals. This is one of the best times of the year for rarities passing through – who knows what could turn up! 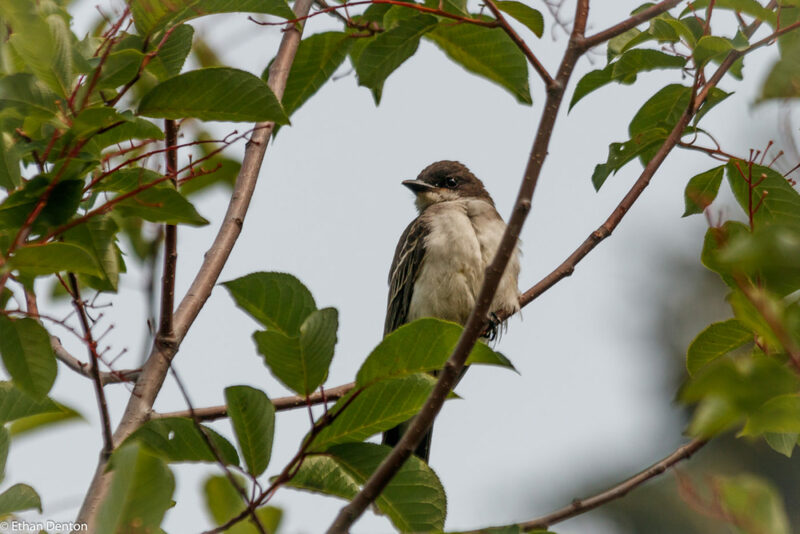 By now, the first of the baby birds will be popping up all across town, and the possibility of late migrants – Brewer’s Sparrow, Connecticut Warbler and Rose-breasted Grosbeak – is still strong. 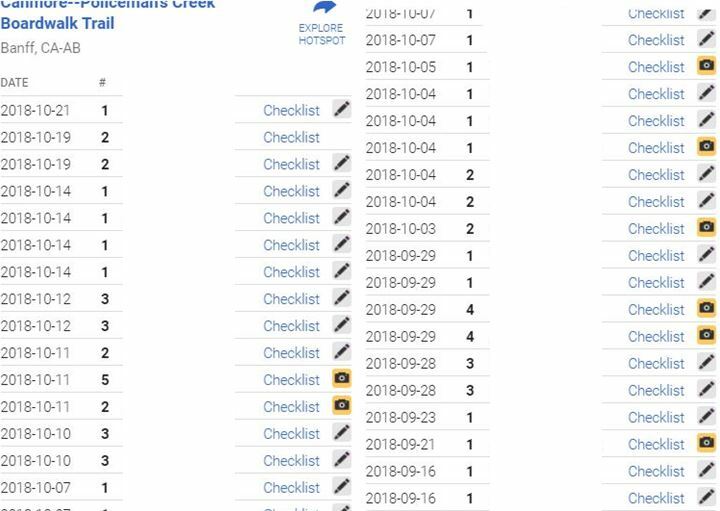 A good checklist on Policeman’s Creek can tally 40+ species. No year is like another, but one thing is consistent: Policeman’s Creek will continue to surprise us. 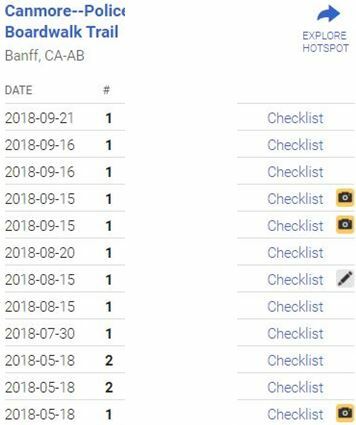 When I started birding it eight years ago, it wasn’t even a hotspot, and now it is tenth in Banff county, with a count of 168 species on eBird. Join us this spring at 7:00 on the above dates to explore Canmore’s best birding location. 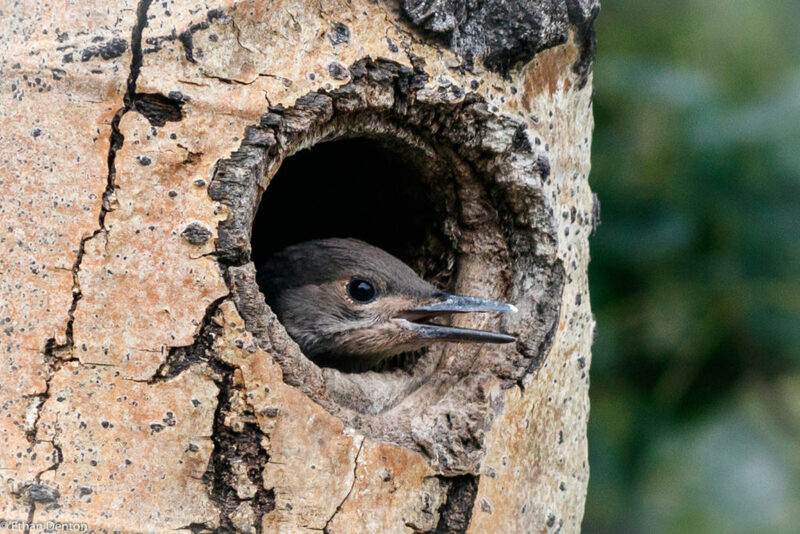 This entry was posted in Birding Events, Birds, Other, Policeman's Creek Trail on April 9, 2019 by BirdBoy. Well, it’s that time of year again. 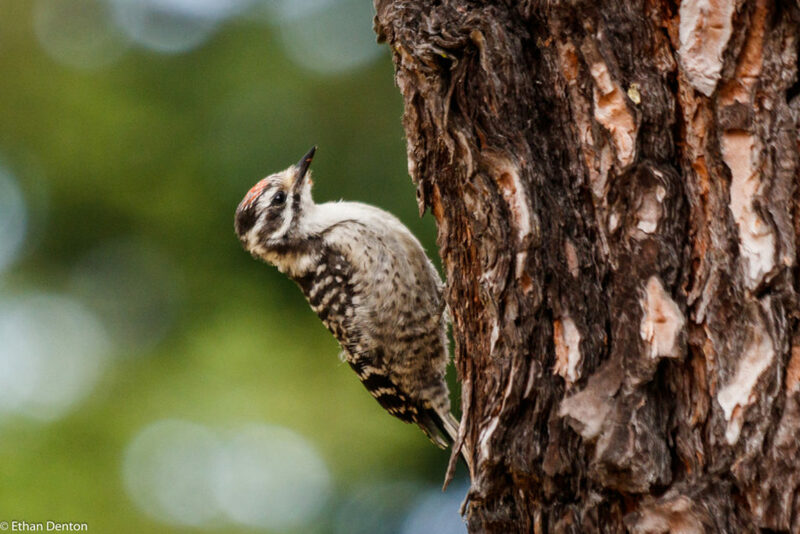 Canmore residents are gradually trickling back from Mexico, Hawaii and Idaho (yes, Idaho – apparently the biking there is great), and so are our favourite birds. First to arrive are the waterfowl – Wigeon, Pintail, Scaup and everything else commonly found on Alberta’s countless prairie potholes throughout the short months of summer. 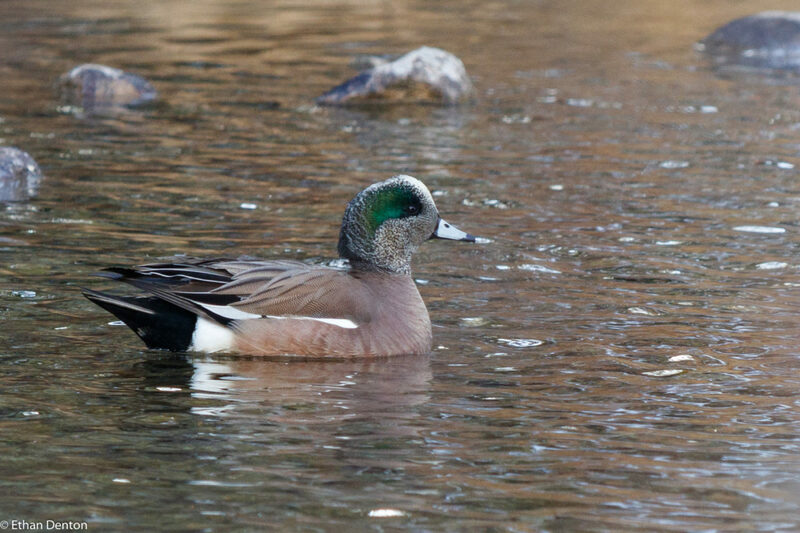 Last year was a bumper year for ducks on Policeman’s Creek, and hopefully this year will be equally good. Here are a couple photos to encourage everyone to get out there and find the first real wave of migration as it hits the valley. And it’s not just ducks, either. 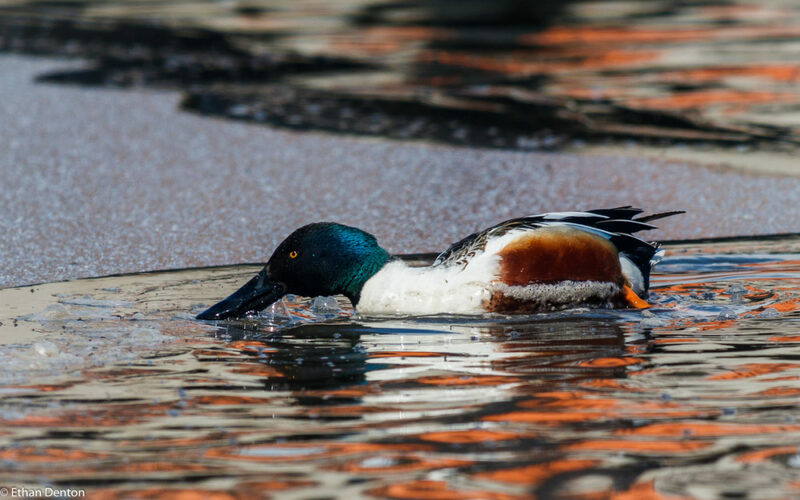 Mergansers, Geese, Loons and others slip through in these first weeks of the rush, and they aren’t to be overlooked. 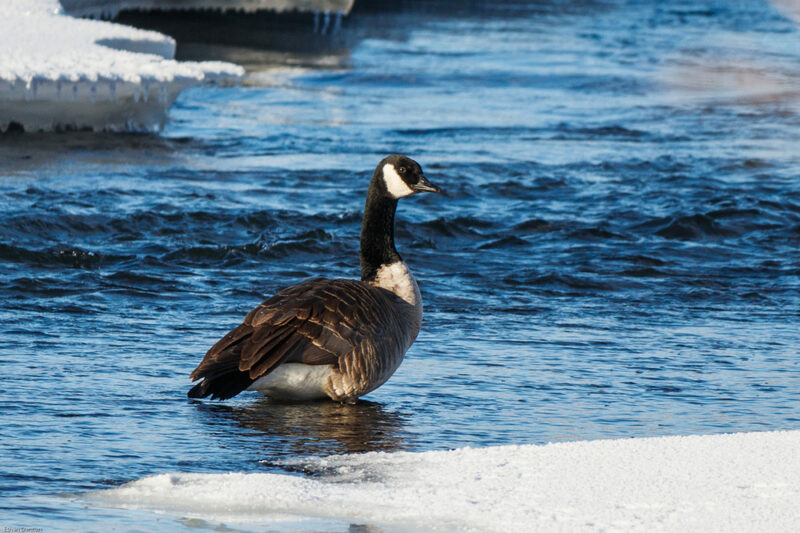 Canada Geese overwinter in Calgary, but the Canmore ones head south for the winter. 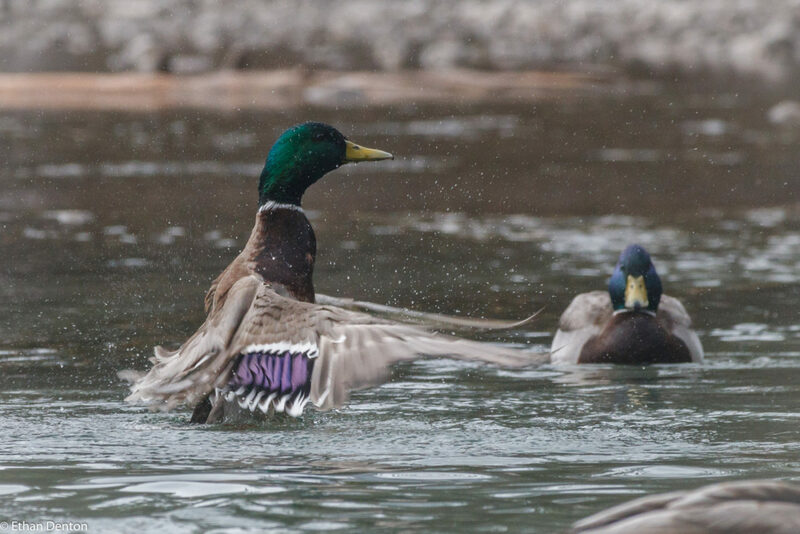 Before long, the Mallards begin their mating rituals. A riveting contest ensues, as males battles to win mating privileges with the best females. 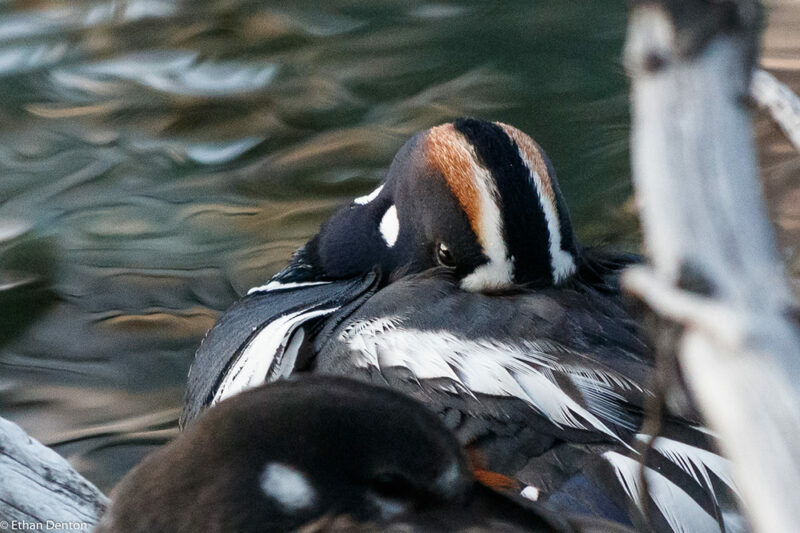 Last to arrive are the Harlequin Ducks, their plumage brilliant in the strong May sun as the journey upstream to find a suitable nesting place. 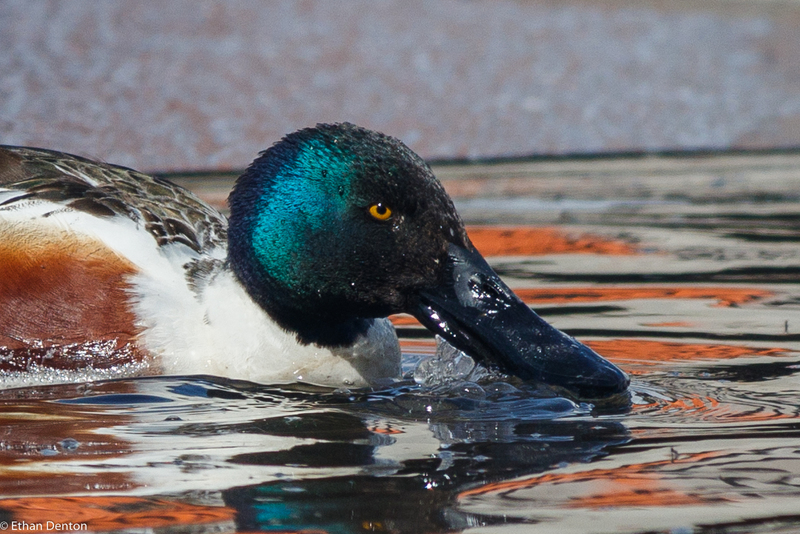 I hope you enjoyed the photos, and I encourage anyone with the time to spend a few hours in the field, as the weather warms up and the waterfowl pour in. 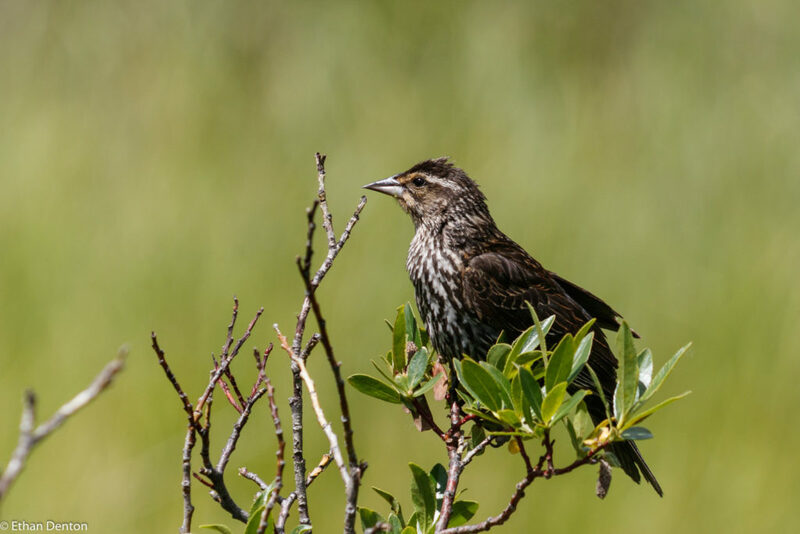 If you are interested in sharing or seeing sightings from the Bow Valley, the Bow Valley Birding Facebook group is the place to go, and Alberta Birds is a wonderful sight for the rest of the province. This entry was posted in Bird Behaviour, Birding Locations, Birds, Other, Policeman's Creek Trail, Waterfowl on April 2, 2019 by BirdBoy. Following a lengthy absence from my blog, caused primarily by an increased workload at school, I am finally able to post an update on the stunning fall we have had here in the mountains. Not only did we find Alberta’s second (maybe third) Prothonotary Warbler ever on Policeman’s Creek, but numbers of warblers were through the roof across the board, and several other exiting visitors dropped in for a visit. It all started in late August, when my then near-daily walks along Policeman’s Creek began turning up unheard of numbers or strange species for the location. By the first of September, I’d found three falcon species, a Magnolia Warbler, 3+ MacGillivary’s Warblers, Evening Grosbeaks and, spectacularly, a lifer Canada Warbler! Even with these (and other) exiting spots in August, there’s no doubt that September was the best month of the fall. 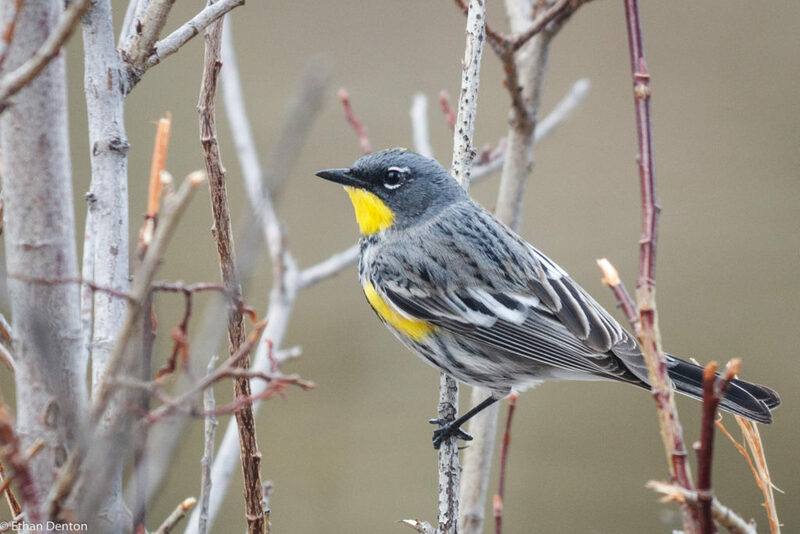 Species that once would have been the best finds of the month were going unremarked – record numbers of Blackpoll Warblers, Fox Sparrows, Grey Catbirds and Nashville Warblers showed up, only to be ignored in favour of the simply stunning Prothonotary Warbler. 15 Swamp Sparrows came and went, and previously unreported Palm Warblers became the staple of anybody’s stroll down the creek. To add perspective to these statements, I’ve added some tables showing the reports of a particular bird species in 2018 compared to all the reports of this bird before 2018. Both numbers represent birds reported in Canmore only. A pretty staggering comparison, but it’s not just Palm Warblers. Blackpoll Warblers and Nashville Warblers saw a massive increase this year as well. These remarkable changes were seen in many other species as well, but numbers were not the most interesting thing this year. As I mentioned above, we had a Prothonotary Warbler on the creek, and several other quite rare birds as well. Highlights included an out of place, out of habitat Lapland Longspur, a Pectoral Sandpiper probing the mud, and another lifer – immature Golden-crowned Sparrow! 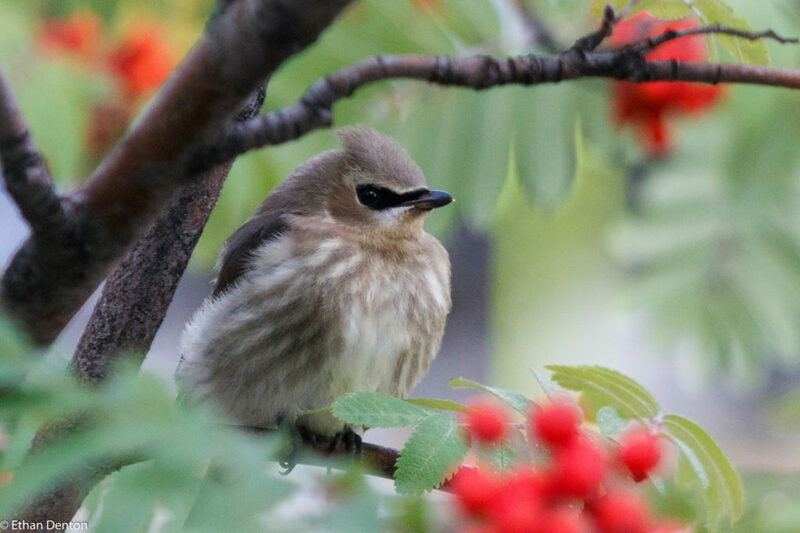 Cedar Waxwings flitted about, and dozens of late Swainson’s and Hermit Thrushes flooded through the valley. Red-eyed Vireos made a few appearances, a Say’s Pheobe popped by one day, and I saw all three accipiters, Merlin, Kestrel and Prairie and Peregrine Falcons. This young Cedar Waxwing caught my eye, and eventually made it into my 2018 North American Birds Calendar. Maybe not such a huge haul in one of Calgary’s Warbler hotspots, but a ridiculous wealth of birds for Canmore. I will almost certainly be able to post more as spring migrants pour in after a long, slow winter, so subscribe if you aren’t already to get all of my latest posts! Thanks for reading! 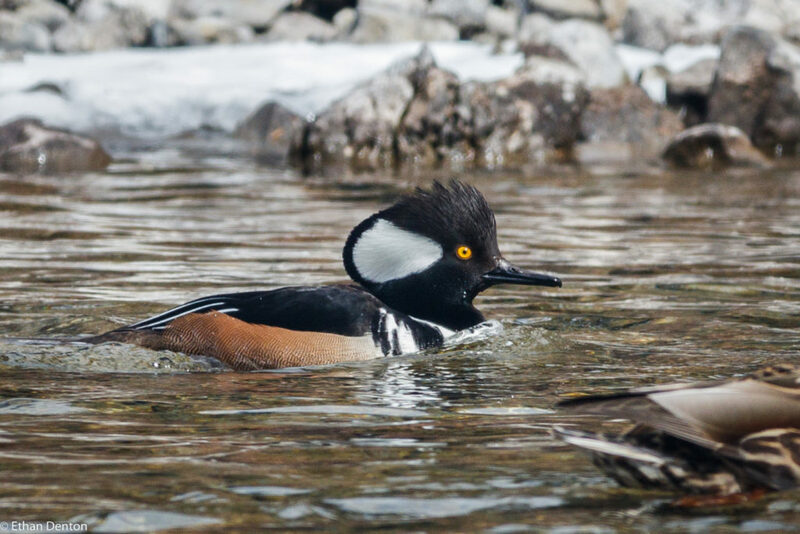 This entry was posted in Bird Behaviour, Birding Locations, Birds, Lifers, Passerines, Policeman's Creek Trail, Raptors, Shorebirds on March 22, 2019 by BirdBoy. 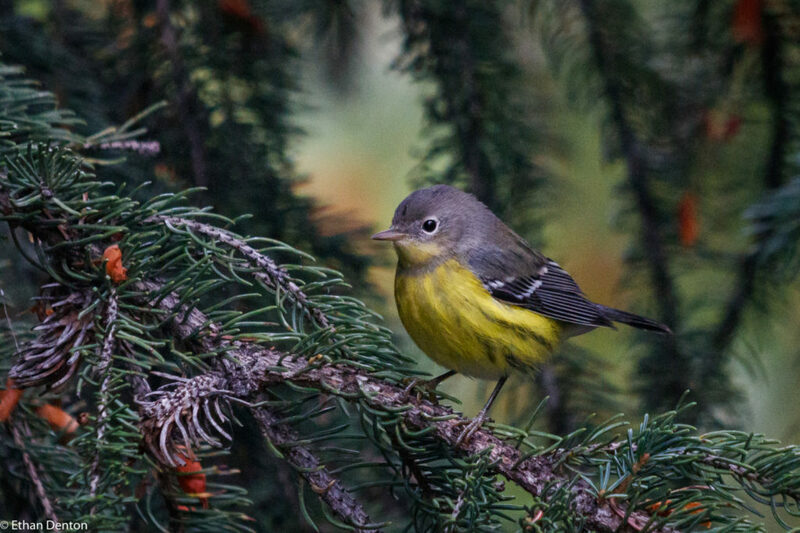 The Bow Valley has been lit up by a flood of migrating passerines throughout August, and while I’m hoping to find more during September, I thought I’d post a collection of some of my favourite birds. 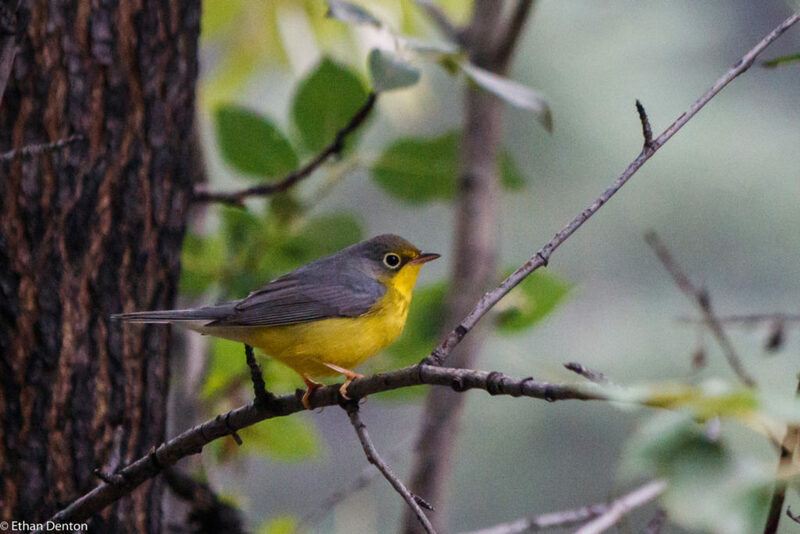 This Canada Warbler was only the third eBird record ever in Banff County. Magnolia Warblers are fairly unusual here too. 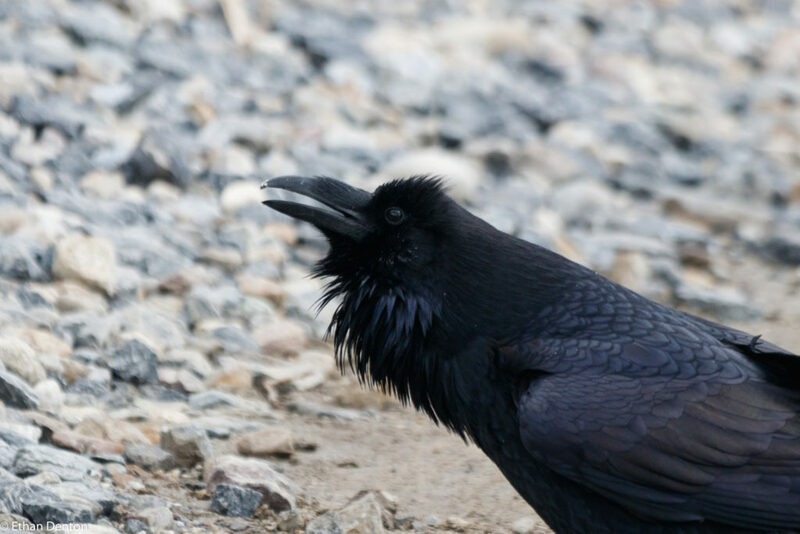 Something about Ravens has always attracted me, and when I found this one at Vermillion Lakes, I couldn’t resist photographing it. Not really a fall bird, but it can take the place of the two Stilt Sandpipers, which I failed to get good pictures of. Kingbirds are turning up too, amongst the flocks of robins. 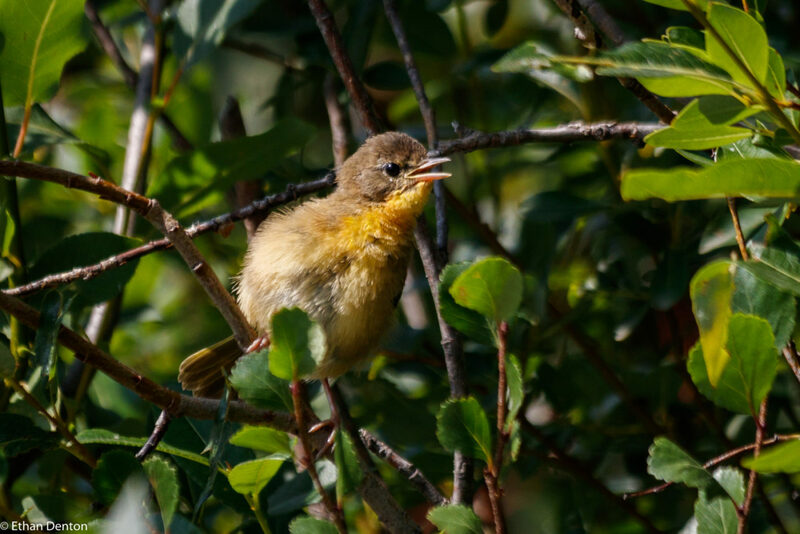 And there’s still a few youngsters scattered throughout, like this immature Yellowthroat. And finally, the Yellow Warblers are all but departed, but I did manage to get this female a week or two back. 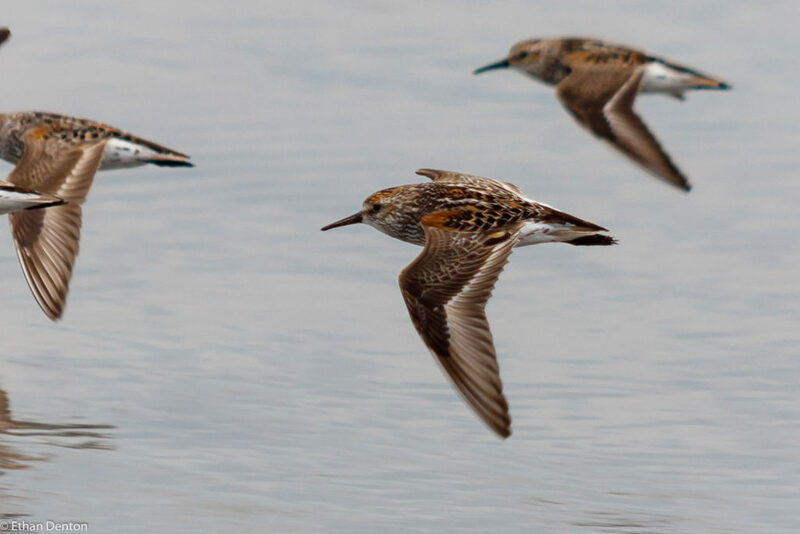 Here’s hoping for more fall rarities as we progress into September, and with it, shorebird season! This entry was posted in Birds, Lifers, Passerines, Policeman's Creek Trail on September 1, 2018 by BirdBoy. Once the annual slog of final exams was past at last, I was looking forward to a few weeks of relaxation and quiet birding before really getting into any ‘summer activities.’ I could not have been more wrong. My first two sightings of summer should have warned me that I was in for a exiting time; a rare Cape May Warbler and a lifer Connecticut Warbler on Policeman’s Creek marked two of my best Banff sightings since the Dunlin in March, and it was shortly after these observations that I was to be whisked off to California on a three week birding adventure. Naturally, the entire trip could not be about birds; my siblings have yet to fall under the spell of ornithology (there’s always hope! ), and there are many wonderful things down the West Coast which do not involve avian highlights. For two weeks, we drove down the coast to San Fransisco, frantically trying to combine birding and vacation with watching the World Cup games. Rest stop birding sufficed for a few days, as our primary goal was to cover as many miles as possible before slowing down. This, however, turned up such highlights as a Rock Wren and Bullock’s Oriole young. 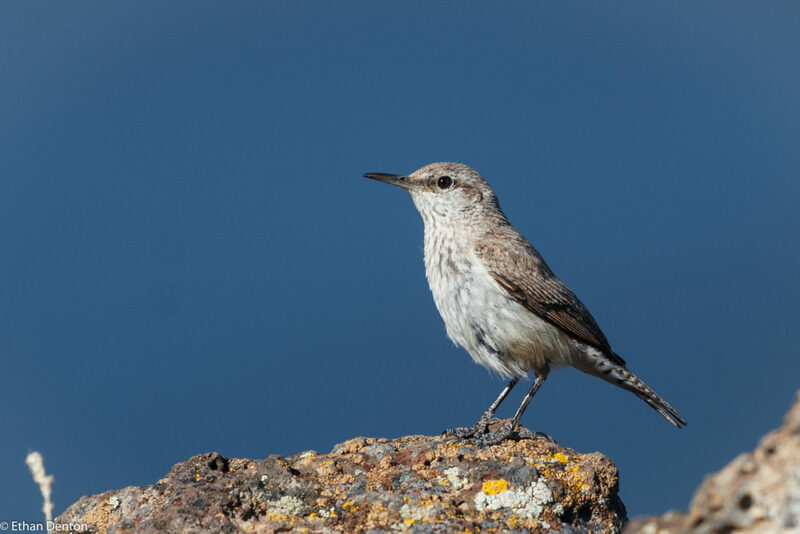 Our first life bird came in the shape of a California Scrub-Jay, a bird we would become gradually familiar with over the course of our expedition. These birds’ brilliant blue plumage spotted the Oregon and California sea line in much the same way as that of the Blue Jay fills our more eastern world. 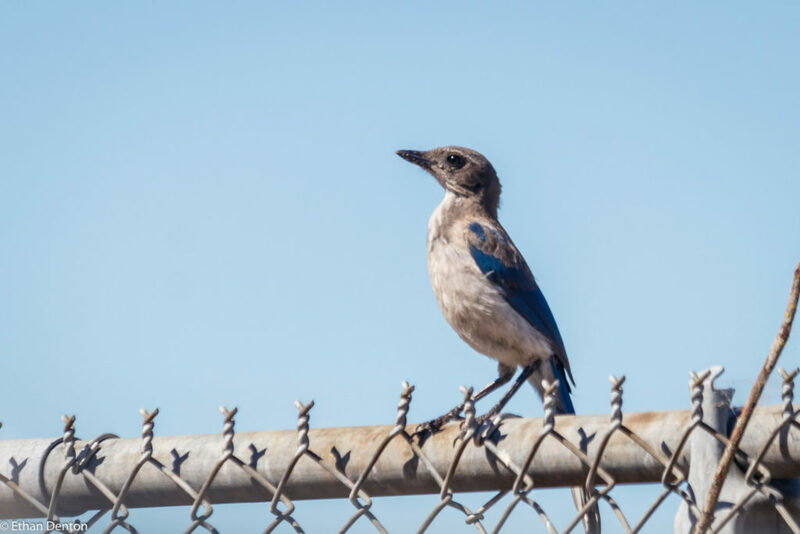 California Scrub-Jay, the first lifer of the journey. From that point on, a steady trickle of life and year birds streamed past our eager eyes. Commencing in Astoria, Oregon (I highly recommend the visitor centre there; their efforts to find a place showing the World Cup semi-final was commendable) with Brown Pelicans, we continued to Leadbitter Point in search of Snowy Plovers. While we bombed on the Snowies, we had a great time there, as the entire beach was covered with thousands of Western Sandpipers, with healthy numbers of Sanderling, Black-bellied Plover and Short-billed Dowitcher mixed in. 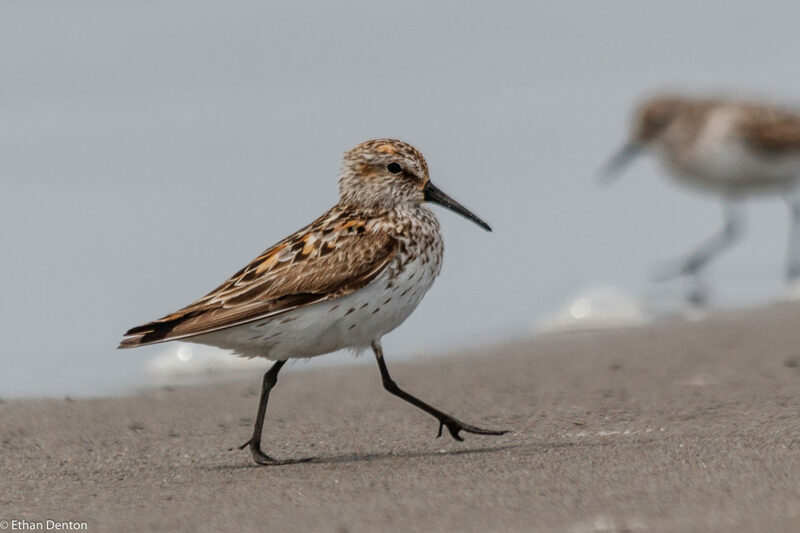 Small groups of 30 – 50 Western Sandpipers whistled along the beach, mere inches above the sand. 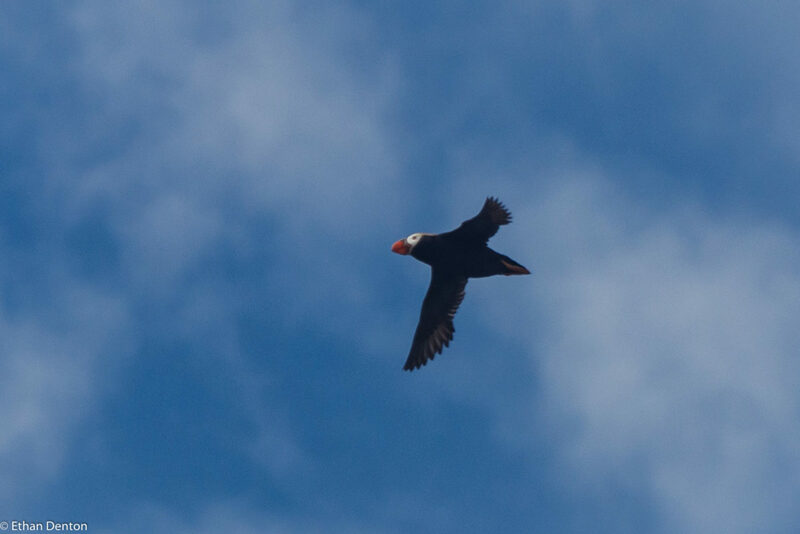 On the Oregon coast, there is a place called Haystack Rock which is known, in particular, for its breeding Tufted Puffins. When we reached this notable stone outcrop, we were greeted by dozens of Common Murres, Pelagic Cormorants, and Western Gulls circling the air. It did not take long to find the object of our desire. Half a dozen of the angular black forms hurtled through the sky with all the grace of a fish hurled from an airplane window. These chunky birds carried their massive bills with a Roman dignity, and seldom approached shore save from high above the beach as they circled the rock. The final campsite of the first part of the trip was the best by far – we stayed there for three days, and found over thirty species including 3 lifers. 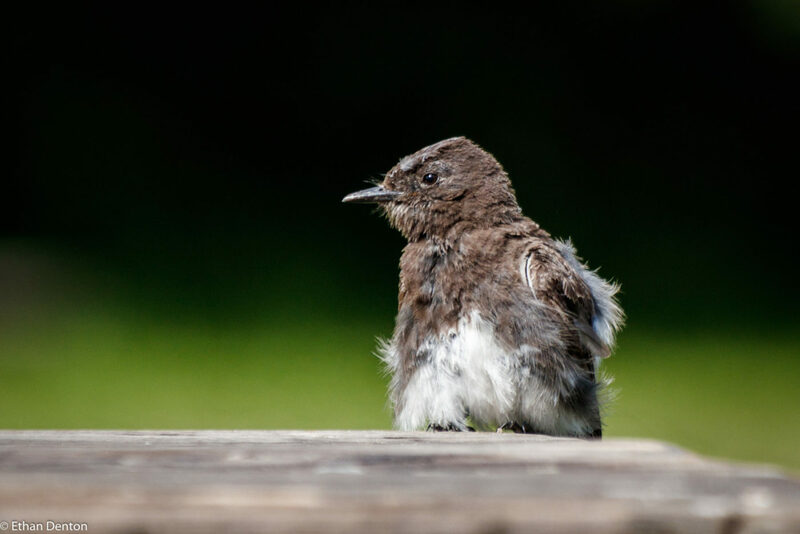 The first lifer observed was the daring Black Phoebe, a bird which perched, fearless, on campfire grates, picnic tables and unoccupied tents around the campsite. The next day brought with it a family of Nuttal’s Woodpeckers, California Towhees, and a Green Heron! 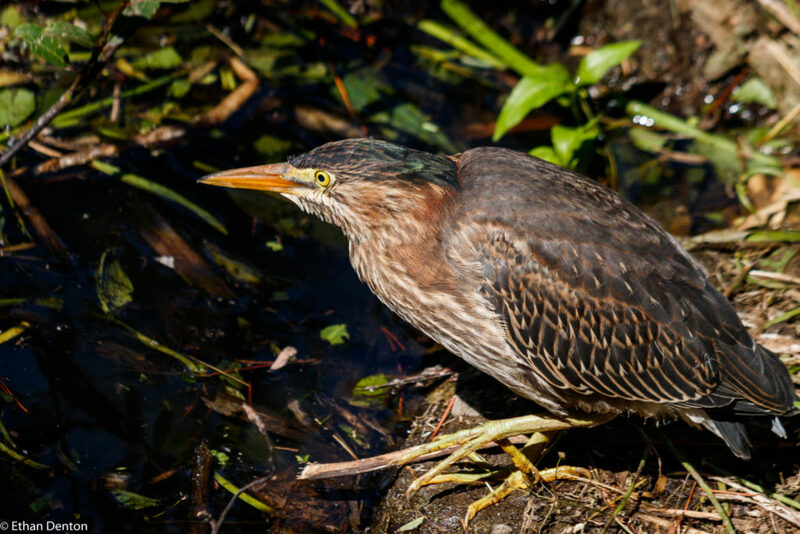 The Green Heron was flighty, but allowed some photos if you crept up behind some bushes. The next day, we moved into a hotel in Half-Moon Bay to rest up for the biggest day of the trip – a pelagic tour! The adventures of the long awaited pelagic deserve their own post, however, so you’ll just have to wait for the next post to find out what happened. This entry was posted in Alcids, Birding Locations, Birding Trips, Birds, Camping, Lifers, Other, Passerines, Policeman's Creek Trail, Shorebirds, Uncategorized on July 26, 2018 by BirdBoy. The third edition of Canmore Spring Bird Walks began quietly, oddly lacking the usual morning chorus. This would be the theme of the first half of the walk, in which we saw and heard little apart from American Robins, Lincoln’s Sparrows and Red-winged Blackbirds. Once we got to the backside of the creek, however, that changed. A slow paced musical trill reverberated across the marsh, as participants got serenaded by a relative rarity, the charismatic Swamp Sparrow. 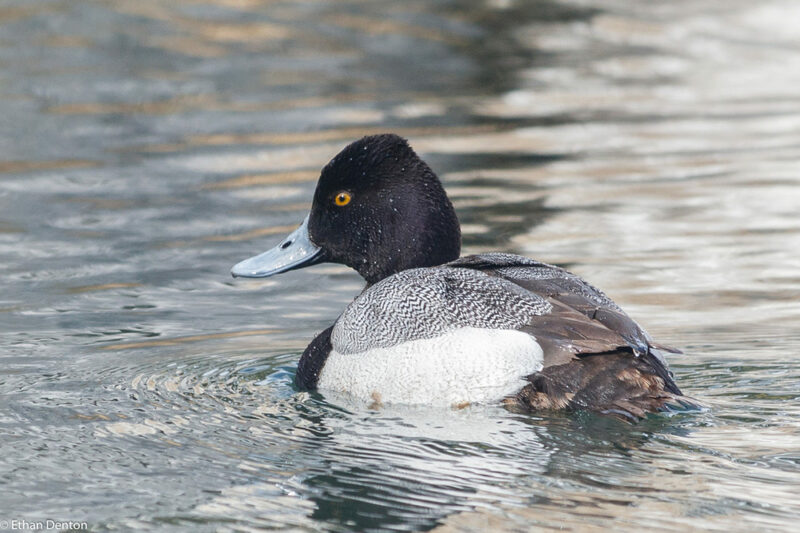 The Harlequin Ducks have departed for faster mountain streams in which to breed, but a female Northern Pintail made a fly-by appearance. The Harlequins had stayed over a week, but vanished just when we needed them! Strolling back via the boardwalk, we were treated to excellent views of Yellow Warbler, Lincoln’s Sparrows and this male Common Yellowthroat. Towards the conclusion of the walk, we relocated the Swamp Sparrow, along with Song Sparrow and juvenile Mallards. The really special birds didn’t come until the final fleeting moments of the walk, though. 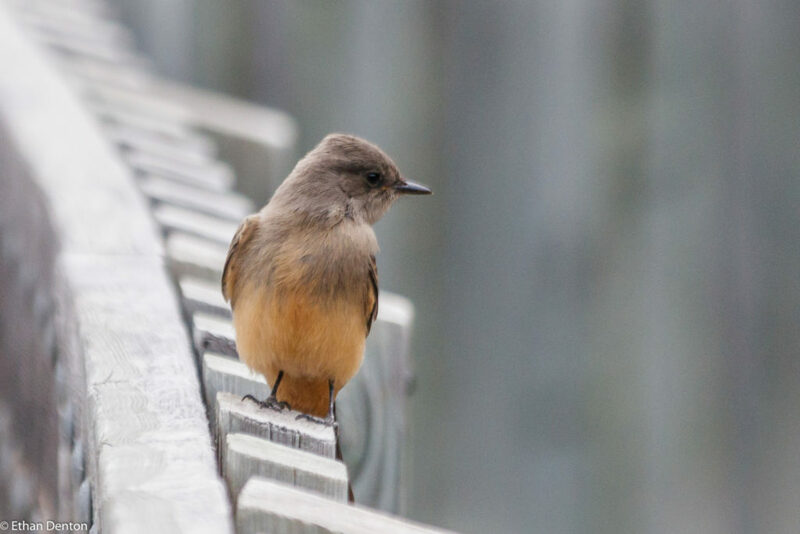 As the group began to dissipate, a Calliope Hummingbird hovered mere feet from the Big Head statue, and a female Yellow-headed Blackbird perched on the Main Street bridge. 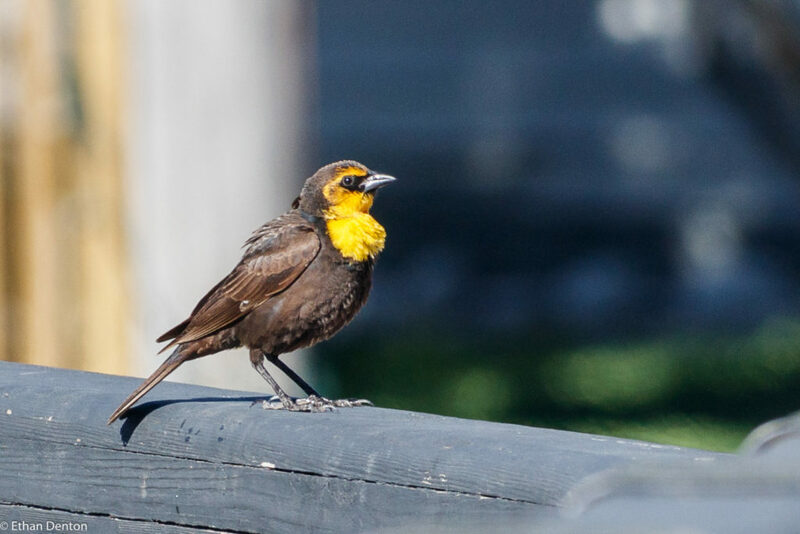 This is the first time a Yellow-headed Blackbird has been reported to eBird here, but I know that I saw one many years back, on Policeman’s Creek. 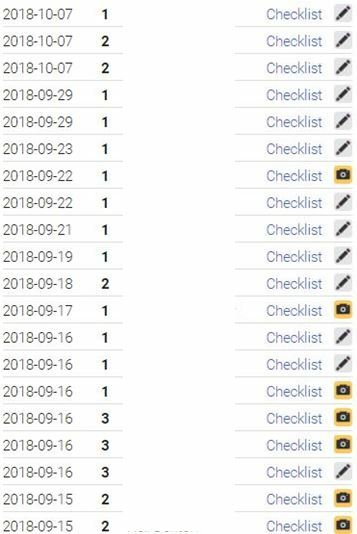 If anyone wants to see the full list for the day, click here for my checklist. I hope to see everybody out next time, on June 10th. By then, most of our birds should have arrived, and we’ll be looking for birds like last year’s vagrant Bullock’s Oriole. On Policeman’s Creek, there’s always a good chance for unusual individuals! 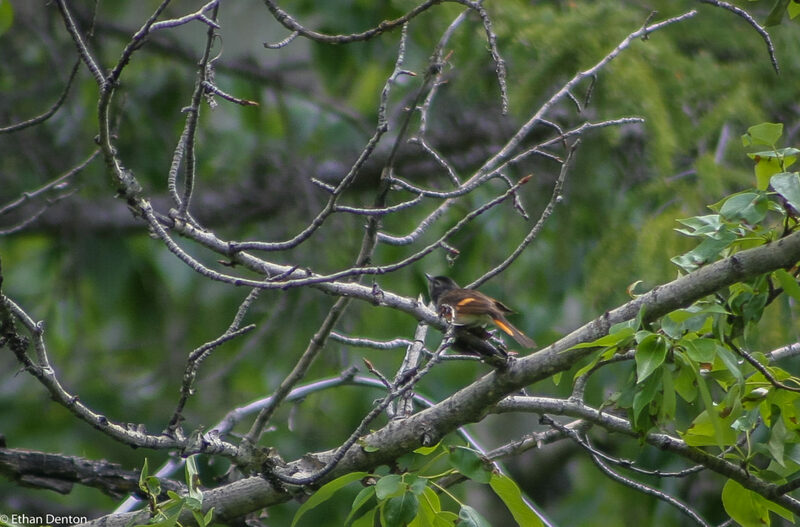 This entry was posted in Birding Events, Birds, Passerines, Policeman's Creek Trail, Uncategorized, Waterfowl on May 27, 2018 by BirdBoy. 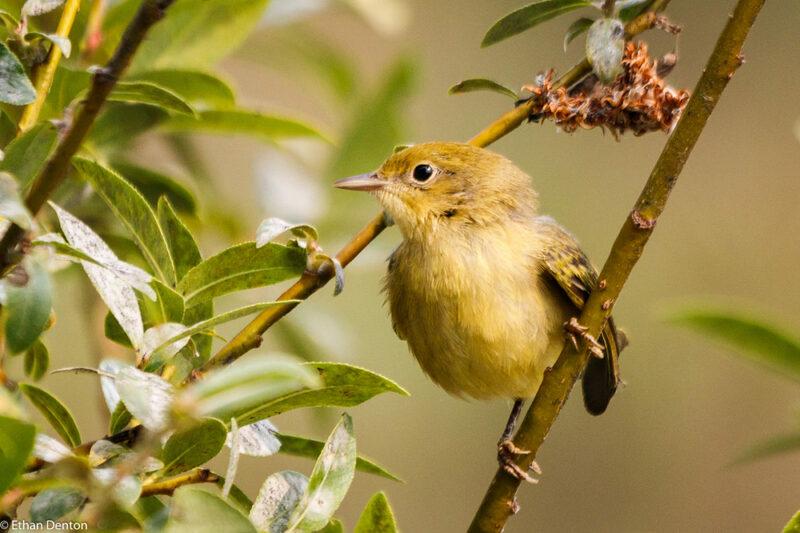 One of the most popular spring migrants families is the Warblers, with their bright plumage and stunning songs capturing the attention of even non-birders. 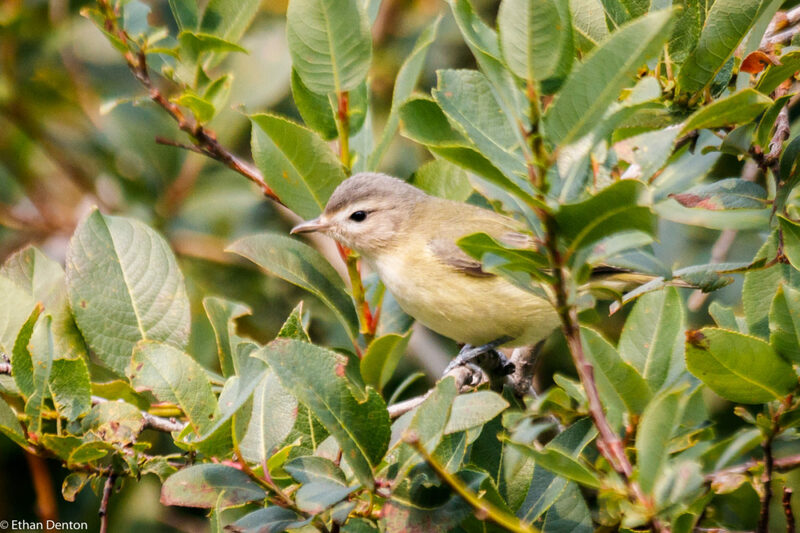 In the last week, many species of Warbler have returned to Alberta, including even a few Black-throated Green Warblers spread across the province. 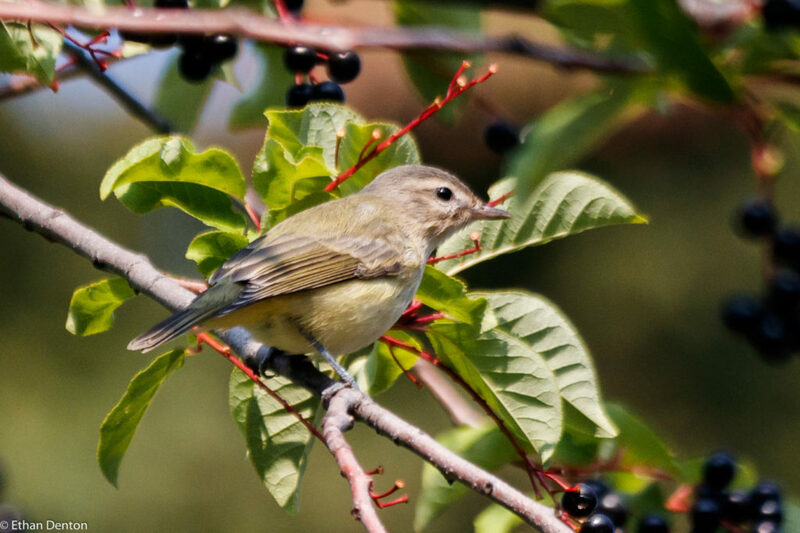 One of my personal favourite warblers is the Cape May. 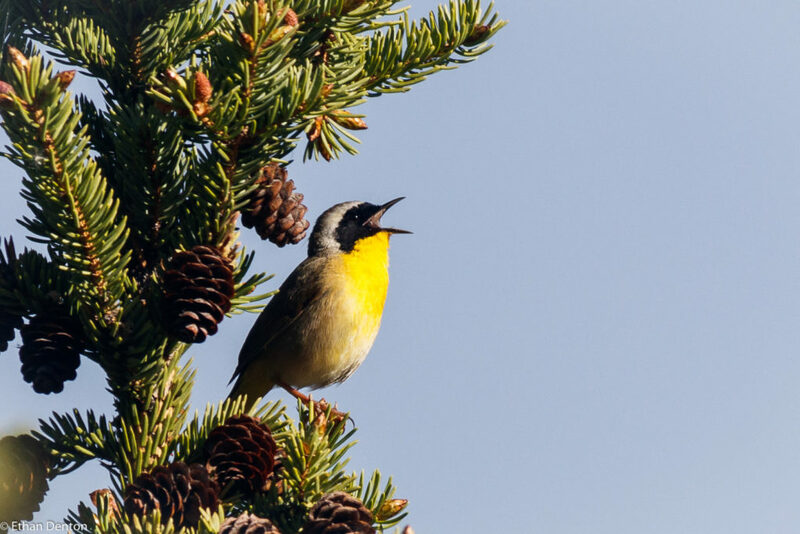 Bright yellow, with black streaking and an orange face patch, this small bird tends to stay high up in spruce or deciduous trees. Yesterday, however, we got lucky with one and it came down low for some photographs. 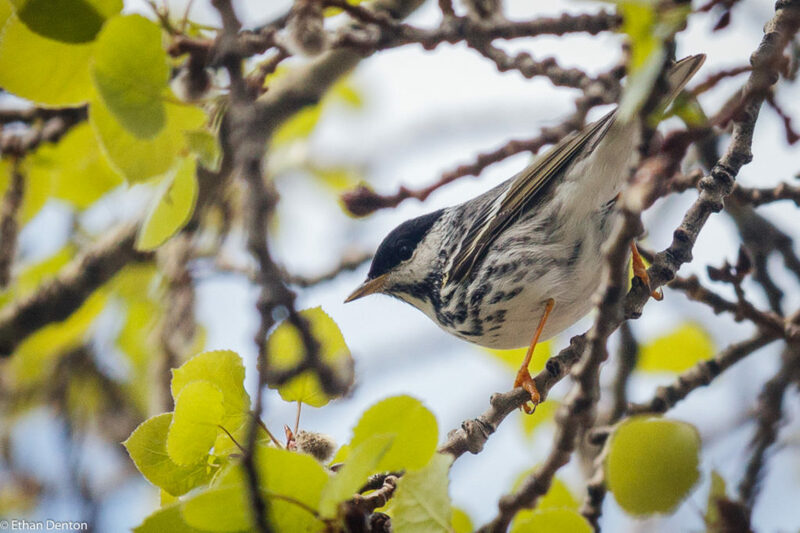 Another warbler which just came in is one which breeds in Banff, but has not been seen in Canmore until I found this individual on Policeman’s Creek: Blackpoll Warbler! Finally, the American Redstart. Three this morning in Flowing Waters was a good count for this time, but these charismatic little fellows will be commonplace in Canmore before long. I have yet to photograph a Redstart with my new camera, so here’s a photo from spring last year. Here’s to the Tennessee, MacGillivary’s and more still to come! 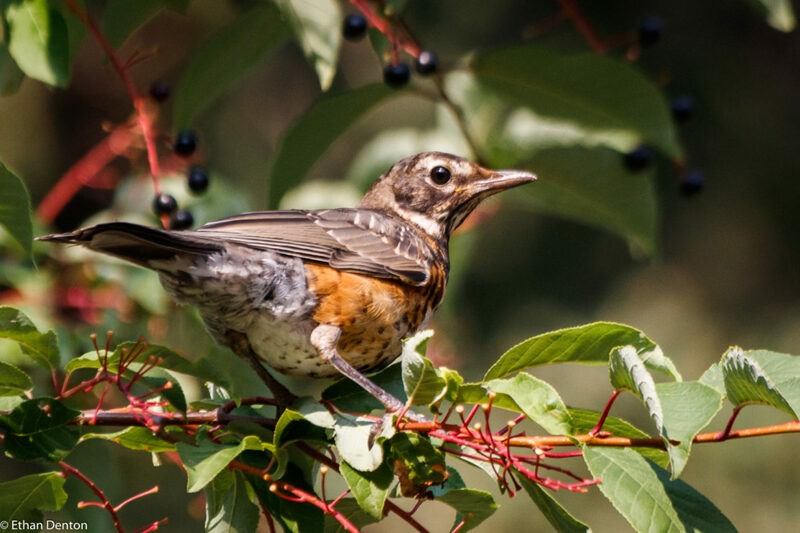 This entry was posted in Birds, Other, Passerines, Policeman's Creek Trail, Uncategorized on May 20, 2018 by BirdBoy.